Field Harmony was built specifically for the HVAC, plumbing, cleaning, and appliance repair industries, but we can streamline virtually any field service role. Try it for 30 days - no credit card. 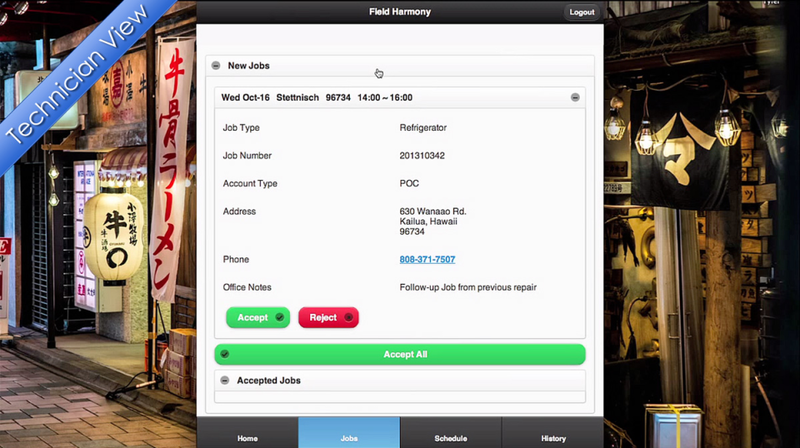 Field Harmony is a browser based application for managing the field service industry. Our application comes at a low cost and allows you to manage appointments, dispatch, scheduling, financial reports, inventory, and more. 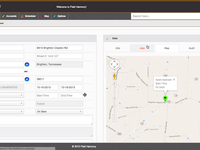 Know where your field technicians are at all times and service your customers more effectively. Support is free and you can get up and running in 30 minutes. Sign up for a 30-day free trial today! No credit card required. Comments: I was kinda hesitant to put our whole operation under an online app. It's just like trusting another person you don't know to manage your money. We are currently still in the trial phase as far as I'm concerned still. Paul has always been able to answer any questions I have., so I would give there customer support a gold star and in this case I guess it's 5 gold stars. The inventory tracking and reorder setup seems to be working as described. It has saved our technicians a lot of time since they don't have to worry about not having the right parts on board. They also don't have to do a 3 hour truck inventory every month which in costs us a lot in productivity. Our warehouse staff has also noticed similar results. i understand there are definitely more features, but we are implementing very slowly at this point. 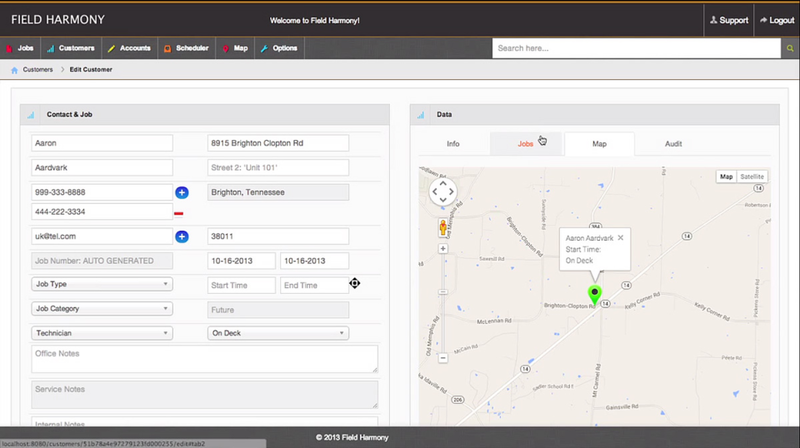 Pros: Field Harmony has increased our overall productivity. It still has some features we haven't utilized. The is less room for human error. Cons: It doesn't auto Maintain itself. There is still room for human error and is only as good as the people who use it. I would also like to see more utilization of bar code technology. Comments: Look no further. This is it. If you need a cloud-based software package for your field techs and office to use, you've found what I would consider the best of the bunch. Easy to learn, easy to use, accessible for anywhere with an internet connection and the best feature that you don't have to use all that often, great support on the back end. Field Harmony does customer management, inventory management, job management and reordering of inventory if you so desire. It's about as comprehensive a package as I've found and does everything I can think of wanting it to do other than the job for me! My company would still be using paper logs without this and in this day and age that's just now way to run a business. 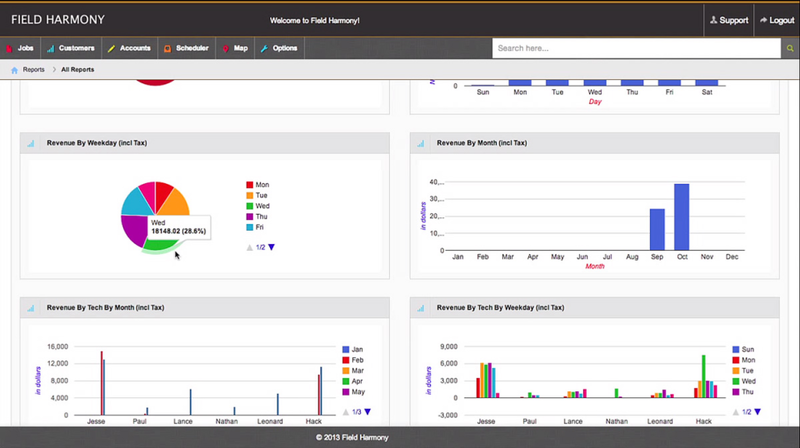 Look at Field Harmony and you'll be glad you did. Pros: Organized Easy to use Easy to learn Great tech support Cloud-based It. Just. Works. Cons: It isn't free? That's a con, right? Oh, and it doesn't actually do my jobs for me. Comments: Just have to give some much deserved praise to this company. I was under a free trial but my life was very busy and I was unable to really get a feel for what the program would do. Paul reached out and offered to do a walk through online with me when things calmed down and even gave me another month trial so I could really assess the program properly. His view point of "treating others like he would like to be treated" is a HUGE selling point with me and he backs up the words with actions that proves that he is trying to help the appliance repair companies that use his program. I am working with the program now and really enjoying it! Pros: Designed specifically for the appliance repair industry. Easy to use. GREAT customer service with quick response when questions/problems arise. Cons: Haven't come up with any yet. Comments: Pros: It. Just. Works. 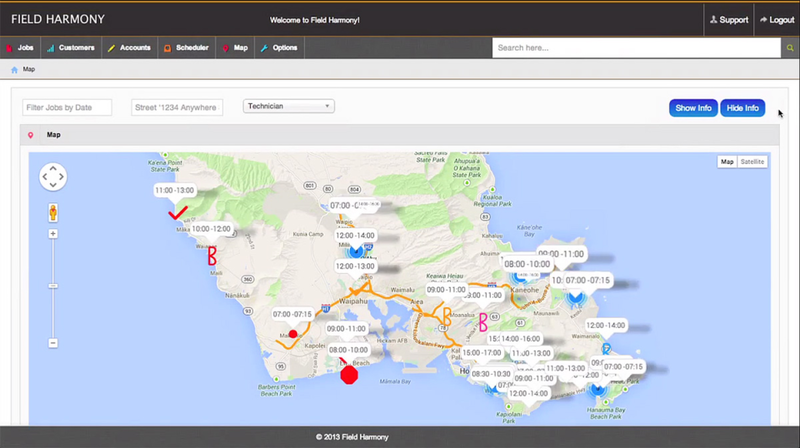 Field Harmony does mapping, service scheduling, inventory management, customer management, parts ordering(if you want it to). It does pretty much everything you could need for your field techs to be successful. It works for small business or large and does what you need it to do. Customer service is outstanding. They're on the ball addressing problems when they arise and are easy to get a hold of through email or phone and are always friendly and eager to help. You couldn't ask for better service. Honestly can't think of any real flaws or cons in the system. Guess it would be better if it was free but that's not really much of a complaint. Comments: Ive used FH for over a year now. Its been great. The office gals love it and after some working with it- the techs love it too. As the owner, I found this program to be very affordable and well worth the effort of moving from a paper based invoice to an email invoice. Its really helped organize my calls. 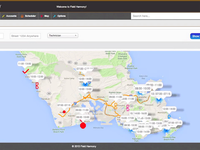 No dropped calls, no forgotten invoices, no missed opportunities. Its been great. Paul has been very responsive in training me and assisting in learning the program. Very pleased with Field Harmony. It has been a pleasure working with you. We are very thankful for your feedback and look forward to continuing to help you automate your service business. Comments: We are a small 5 man company that doesn't have a lot of resources or technical know how. This application does so much and is so easy to use. We have completely eliminated our paper invoices and moved into the cloud! Support is awesome. They never fuss when I call them and ask my silly questions. Would highly recommend for any service business looking to improve their business. Pros: great support, easy to use and get started, does scheduling, dispatching, invoicing, receivables, and so much more! Cons: is packed with so many features, I can't find time to learn them all! So happy to finally go paperless! Comments: Five years ago we couldn't get two computers sitting next to each other in our office to communicate with each other. 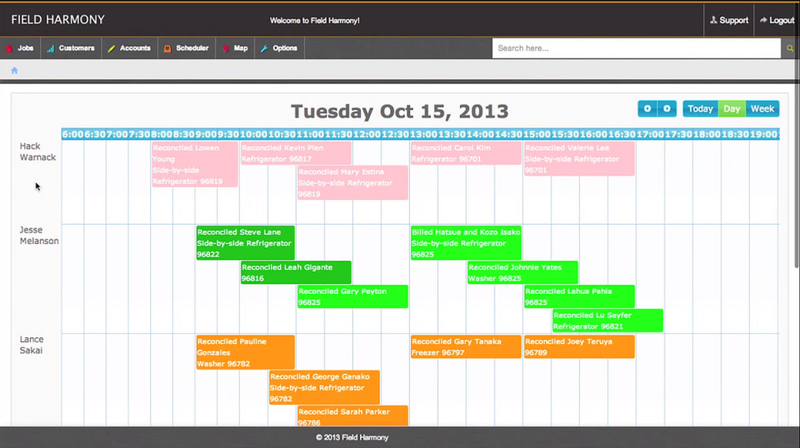 Field Harmony syncs our info on all our computers, tablets, and phones all across the city! Very straight forward software that allows our technicians to generate invoices and email them to the customer right from their phone or tablet. Bye-bye sloppy technician hand-written carbon copies with coffee stains. Hello cloud! Quick response on any questions I had, too. The program gets better and better with the updates all the time. Can't wait to see what they add next. Comments: Great Program! I have been using it in my appliance repair business for about 7 months and LOVE it. It takes care of all your needs. Dispatching, Scheduling, Inventory, Money reports, PO's, IT DOES IT ALL and at a great price. The Field Harmony crew are very nice too. Always there if you have questions or anything at all. GREAT PROGRAM!!!!!!! 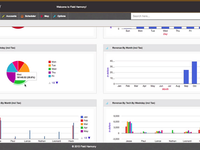 Pros: Cloud Based, Packed with all the features you need to run a service based business. Cons: Over the internet so if you dont have service you cant use it. Thats it. 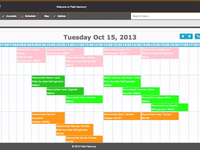 Comments: This field service management software has taken us to another level of professionalism. Comments: This product took us to the next level. Support is great!